Crowns are full coverage restoration used to strengthen a tooth and potentially improve its appearance. Crowns or onlays (partial crowns) are most often indicated for teeth where there is insufficient tooth remaining to hold a filling. 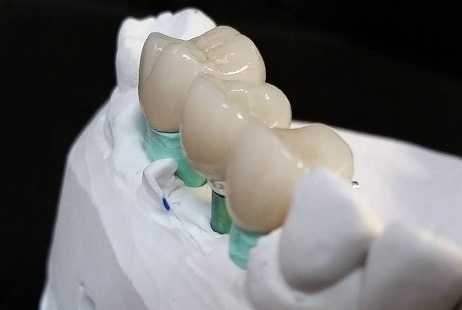 Unlike a filling which is directly placed into your mouth, a crown is custom created for you in a laboratory to fit your bite and jaw movements to function normally once the crown is placed. Crowns can be made of porcelain, gold or a combination of both. Interested in learning more about Dental Crowns and Implants? Call 201-652-8875 to request a consultation.